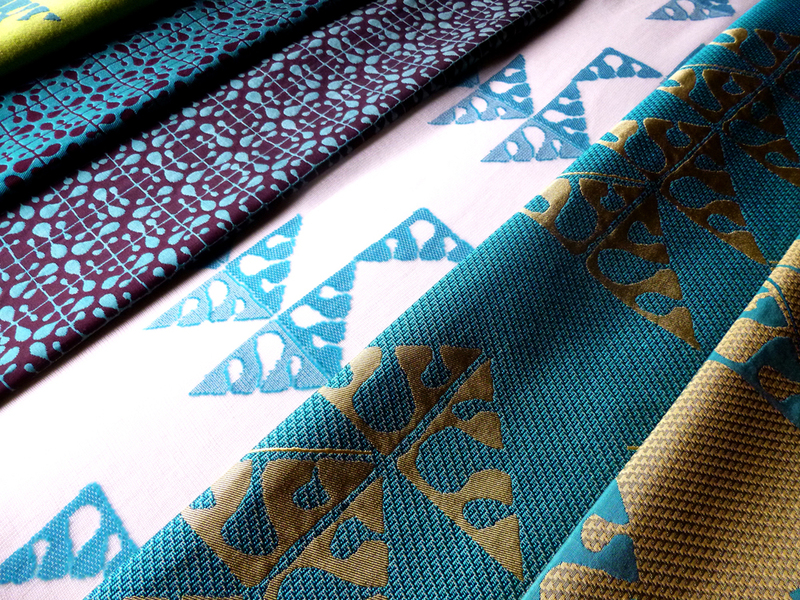 Woven in the UK these unusual 100% silk fabrics are available in a range of colours to order - please ask. Other co-ordinating designs, both large and small are available. Woven here in the UK on a jacquard loom, these soft, textural fabrics are hand finished to achieve their unique and luxurious handle. The Merino yarn is thick and springy but lightweight too, Ideal for apparel and soft furnishings alike. Other recent work can be seen below. Please select an image to view fabrics and artwork from these collections.